I'll be the first to admit that I LOVE chocolate and if I'm going to eat sweets, then it's almost always going to include chocolate. I even have a "chocolate drawer" in the fridge. Just give me chocolate and coffee and I'll be happy! Even with my recent commitment to get healthier and lose weight, I know it's all about moderation. With the holidays right around the corner, chocolates are always a perfect gift, stocking stuffer or party favor. We all love chocolate, right? 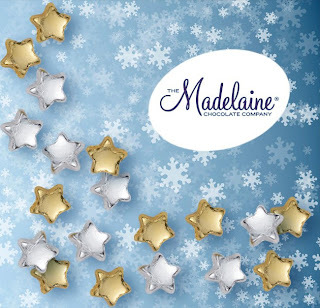 I recently had the pleasure of trying a few different Christmas chocolates from The Madelaine Chocolate Company. They are as cute as they are delicious and melt in your mouth. 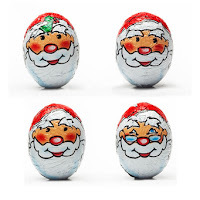 You can choose chocolates for just about every season, holiday, sport and more. Chocolate Turkeys for Thanksgiving, Peanut Butter Filled Santas for Christmas and the list goes on. I received the following items for review and one lucky Being Frugal and Making it Work reader will win the same items just in time for Christmas! 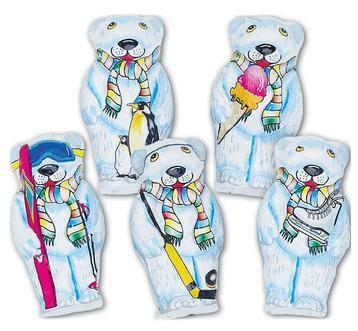 Highly detailed, solid premium milk chocolate polar bears, wrapped in Italian foil, featuring colorful scarves and winter sports equipment. My son loves polar bears and these cute bears are going to be the perfect stocking stuffer this year. Of course, I had to eat one and they are delicious. Smooth and creamy! 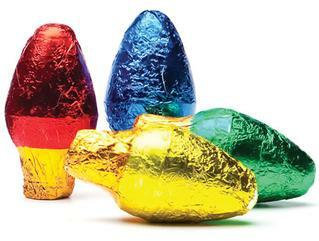 Premium semi-solid milk chocolate holiday lights, wrapped in colorful Italian foils. The colors are bright, shiny and perfect for Christmas. They make the perfect table decoration and look festive in a crystal dish at your holiday party! They are sure to brighten up your holiday season! Bite sized Double-Filled Holiday Edition chocolate truffles. 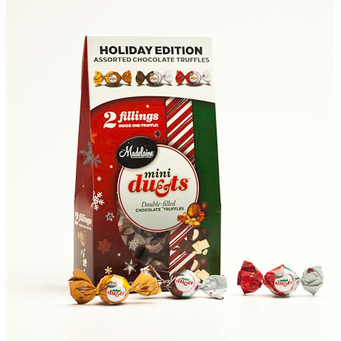 Each 5 oz bag contains 3 scrumptious flavor combinations: Caramel & Peanut Butter in a milk chocolate shell, Milk Truffle & White Truffle in a dark shell, and Raspberry & White in a milk chocolate shell. All are wrapped in a Christmas and flavor themed graphic twist wraps. 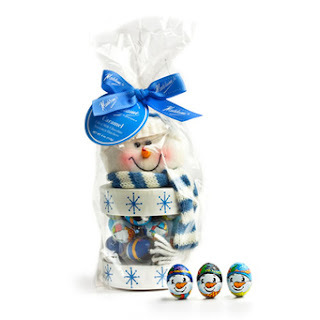 Bite sized buttery caramel filled milk chocolate balls, wrapped in Italian foils to resemble snowmen packaged in keepsake snowman gift container. This adorable item makes the perfect teacher's or gift exchange present! Christmas just wouldn't be complete without Santa! We all know that he brings magic to the season and puts a smile on our children's faces. Bite sized premium chocolate shells filled with creamy peanut butter, wrapped in Italian foils, featuring adorable Santa Claus faces. These are the perfect size to just pop in your mouth. The hard chocolate layer combined with the creamy peanut butter center is absolutely heavenly! Perfect for filling giftware or party favors, balloon weights, candy jars and Christmas stockings! At the Madelaine Chocolate Company we are committed to improving our consumer’s experience and have found that by keeping it simple, we’re able to constantly stay one step ahead. Established in 1949, we’ve dedicated ourselves to perfecting the superior taste and quality of our chocolate. Our belief that everyone should be able to afford great tasting chocolate is what drives our commitment to our customers, and ensures that we never compromise on flavor or quality. I want to try the dark chocolate fall leaves . I would like to try the milk chocolate leaves. I think they would make a great thanksgiving gift. I would like to try Silver Mini Stars. oh, no! When I was filling out the Rafflecopter form, apparently my hand was in the wrong place--and, instead of indicating my email address (aleq13@gmail.com), it put my oldest daughter's email (which starts spunkyejs@) and before I noticed, I clicked to enter. Can you please fix that for me? I apologize for the inconvenience and I appreciate your time. I shouldn't try to enter giveaways after midnight! I would love to try the peanut butter balls! i'd love to try the 4 oz. pumpkins. I'd love their Thanksgiving Lollies! I would love to try the Christmas Mint Truffle Gift Box. I would love to try the Milk Chocolate Truffle Filled Mini Penguins. I'd like to try the Christmas lollies. I like the nativity scene countdown to Christmas calenders! Yum!! Peanut butter balls, or the mini stars, or the carmel apple ones...too many to chose! High Cocoa Dark Chocolate Cashews. Dark chocolate Christmas Ball mix...oh so LOVE Dark Chocolate!!!! The Peanut Butter- filled ball ornaments. My daughter would love the caramel filled apples or the advent calendar! The Peanut Butter balls sounds delish. I would love to try the mini fish! They'd be great for hiding around the house for the kids to find. And they're so cute! Aeropostale Boys Sweatpants - Perfect for Winter! Frugal Holiday Gift Giving - WIN Your Gifts! Earning an Income Online: Sites That Pay! Current Giveaways - WIN Your Holiday Gifts! FREE Scotch-Brite Greener Clean Scrub Sponge! TODAY ONLY! FREE Card to Your Kids from SANTA! Superpoints - Earn Cash, Prizes and Gift Cards!